Preparing for Brexit. Will you need to make radical changes to your business? The UK is set to cut ties with the European Union on March 29 (at the time of writing! ), and as the deadline approaches, anxiety from small businesses continues to escalate. But regardless of whether we might be seeing a soft or hard Brexit, changes are bound to happen and anyone with experience in business will generally tell you to prepare for the worst. Second life entrepreneurs in particular will need to adapt. As we have discussed in a previous post about silver business owners, older entrepreneurs can have a massive advantage over their younger peers, and this advantage comes from their experience and maturity. Older entrepreneurs have a more expansive knowledge of their respective fields and more connections in key industries. But all of this could change post-Brexit, as new regulations will ultimately change the way businesses have to operate. Being able to understand these emerging processes requires a new mindset. To remain competitive in a new environment, second life entrepreneurs may need to consider that radical changes could happen in their businesses. While the full extent of the Brexit shakeup will of course depend on the set of arrangements finally laid out, it seems likely that a soft Brexit will have the least effect on the economy. However, PM Theresa May’s stance seemed unlikely to lean towards it. In a recent interview with The Independent, the PM argued that there is no “trade-off” between immigration and EU economic ties and suggested that a soft Brexit “subverts democracy”. Parliament however made its opinion clear in the vote on January 15 with regards to the validity of the PM’s Brexit plan. While the PM’s deal was definitively shut down, with 202 in favour and 432 opposed, her government did then survive a no confidence vote with 325 to 306 in favour. With an uncertain future ahead, what can you do to prepare? Understanding key economic and political activity helps, as seen on FXCM‘s Economic Calendar, for example. Staying informed is vital. 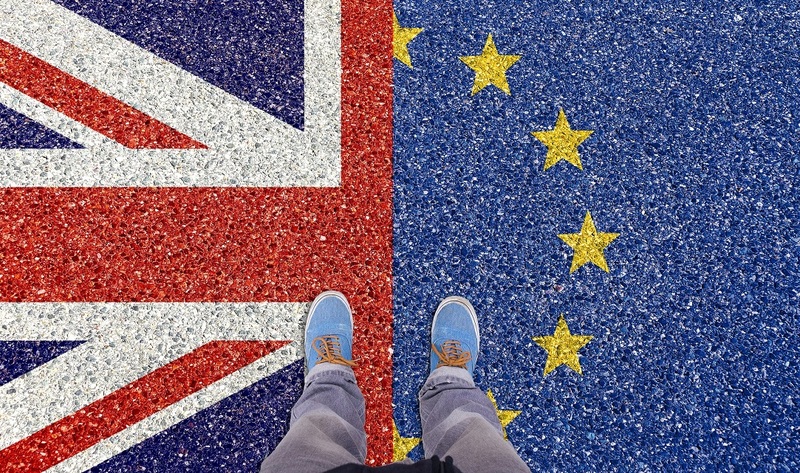 To make your business Brexit-proof, you will need to assess your how your business has prepared across these five areas. For the movement of goods, businesses that are reliant on goods and services from the EU market will need to deal with customs declarations. If your business is not yet capable of integrating European and UK digital customs systems, you may need to hire a broker or agent for this extra process. This is also the case for businesses that export goods and services. Another thing to consider in terms of the movement of goods is the supply chain. Brexit could lead to tariffs and regulations across your supply chain, so you need to map out where your input comes from, categorise them to determine applicable tariffs, and then reassess whether they are worth maintaining. Some parts of your supply chain may become untenable, requiring you to look for new sources of input. In short, the idea is to minimise the effects of these regulations on your supply chain once Brexit goes full speed ahead by preparing now. For contracts, your business will need to look through your existing contracts to make sure that they comply with post-Brexit terms. Non-compliance can, of course, lead to renegotiation or termination of compromised contracts. This is connected to compliance, which covers technicalities in terms of standards or regulations. As the British Standards Institute (BSI) is not an agency of the EU, you will need to ensure that certifications, standards, and labelling are updated for Brexit. For financial planning, businesses are likely to need to deal with more complex port procedures and duties, including VAT. Finally, businesses that employ EU nationals will need to push their employees to apply for settled status. This also entails tracking nationality status and immigration compliance. If your business is reliant on an EU workforce, you will need to come up with strategies to retain them. All this could result in a significant amount of adjustment and paperwork, but a huge chunk of the work must be dedicated to keeping your business healthy. For instance, while you may cover key areas in your supply chain, you could see subtle effects across different areas to snowball into major issues. The BBC warns against extra charges from UK mobile phone operators, for example, if free-roaming stops the day that Brexit negotiations are finalised. Unexpected disturbances such as blackouts in transportation and logistics may also require small business owners to create buffers to protect their businesses. Second life entrepreneurs are thus encouraged to double up their protection efforts and utilise their resources and connections. This is precisely their edge over their younger, less experienced, and less established counterparts. Fortunately, we can also expect some buffers from the government to mitigate the projected adjustments. Chancellor Philip Hammond has already raised spending by Whitehall for Brexit preparation to £4.2 billion. Nonetheless, there is yet to be cash support for small businesses like there is in the Netherlands and Ireland, where such support has already been given. Time, however is running out, and it’s clear that the earlier we prepare, the more resilient and better prepared our businesses will be for future circumstances.